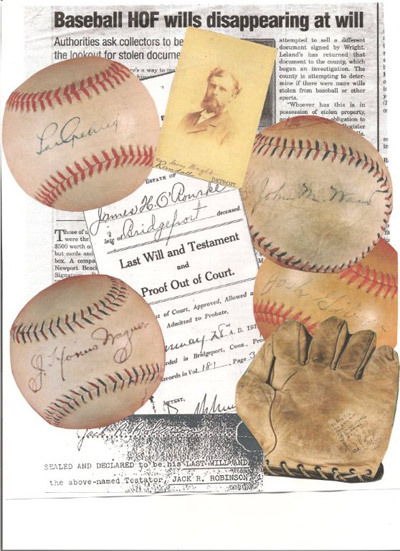 Over the past two decades the rapid growth of the vintage baseball memorabilia market and auction business has given rise to a wide array of illegal activity including: the thefts of Hall-of-Famers’ wills from municipal courthouses; the inaccurate and flawed authentication of vintage material by leading authentication companies; and instances of “shill-bidding” at major hobby auction houses. This section of the Hauls of Shame site features original investigative reporting and analysis regarding these important and controversial issues. 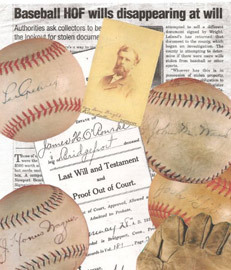 Our GALLERY OF WILLS, FAKES AND FRAUDS presents images documenting these issues.